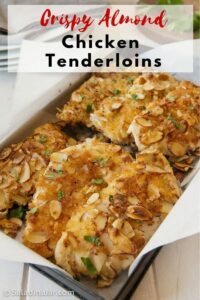 Simple chicken fillets become Crispy Almond Chicken Tenderloins when breaded with sliced almonds and panko bread crumbs. A quick trip through the oven adds crispiness and color. Seasoned rice and a vegetable on the side make a complete meal. Do you ever crave fried chicken? Typically, the crunch of the lightly-fried almonds and breadcrumbs combined with tender bites of chicken in Crispy Almond Chicken Tenderloins is enough to satisfy my naughty yearnings. 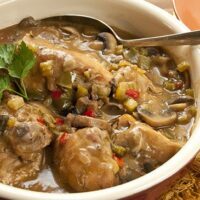 The directions for this chicken come from my friend Scooter of Scooter’s Spaghetti fame (the third most popular post on this blog). Years ago, she showed up at my house with this special treat after I had been in the hospital for a few days. Her visit is still remembered. This suggests that sharing recipes can be an enduring gift. 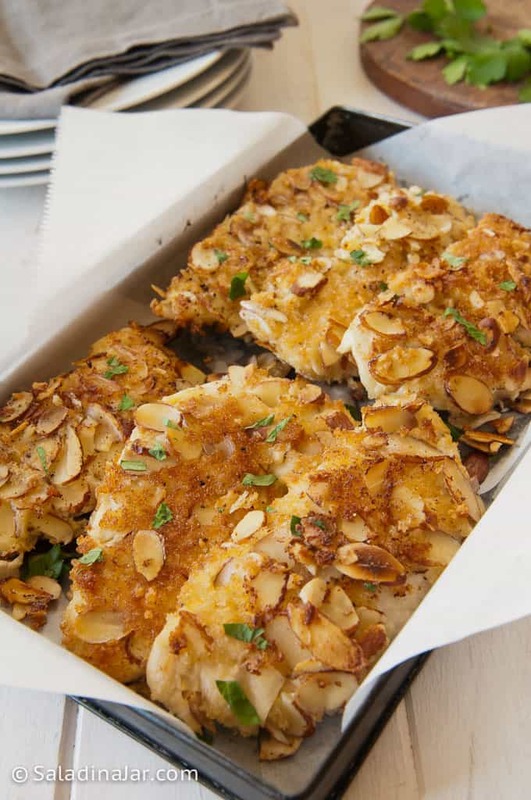 Crispy Almond Chicken Tenderloins are fancy enough for company. 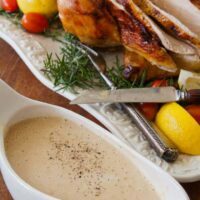 On the other hand, if you don’t count the salt and pepper, there are only five ingredients making this recipe uncomplicated. Thankfully, it’s easy to please everybody. Leave out the almonds if you are feeding someone with nut allergies or a distaste for almonds. Substitute almond meal for the breadcrumbs if you are feeding a low-carb or Keto eater. 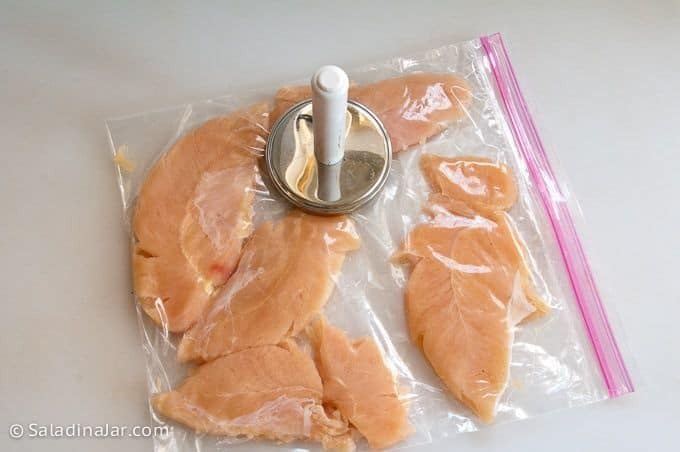 Place chicken pieces between wax paper or inside a plastic bag and pound with a mallet or your fist. Beat two eggs and place into a shallow dish. 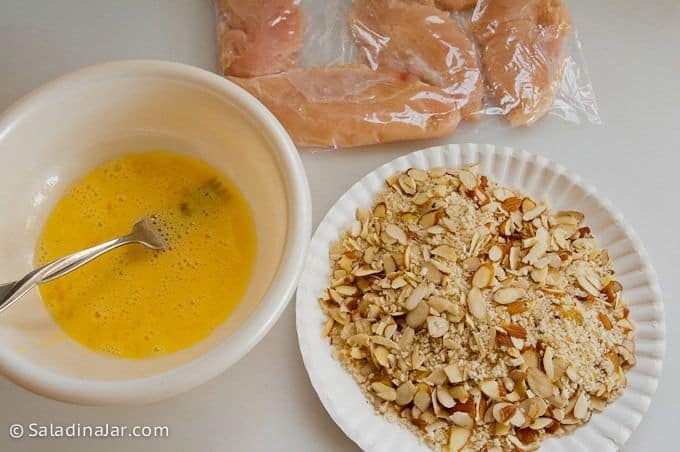 Combine bread crumbs and sliced almonds and place onto a flat plate or wax paper. 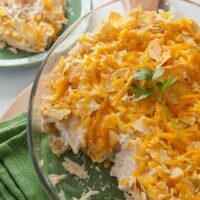 Dip chicken tenderloin fillets into egg mixture. 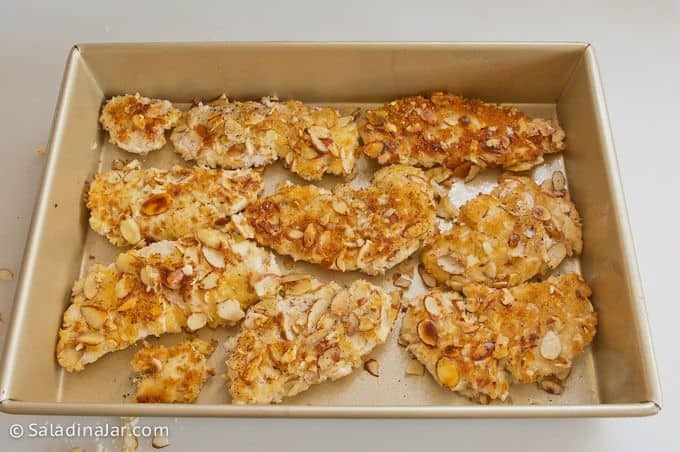 Coat chicken pieces with almond and bread-crumb (or almond meal) mixture. Fry in a non-stick skillet 2-3 minutes per side until browned. Almonds burn easily, so watch chicken carefully in this step. 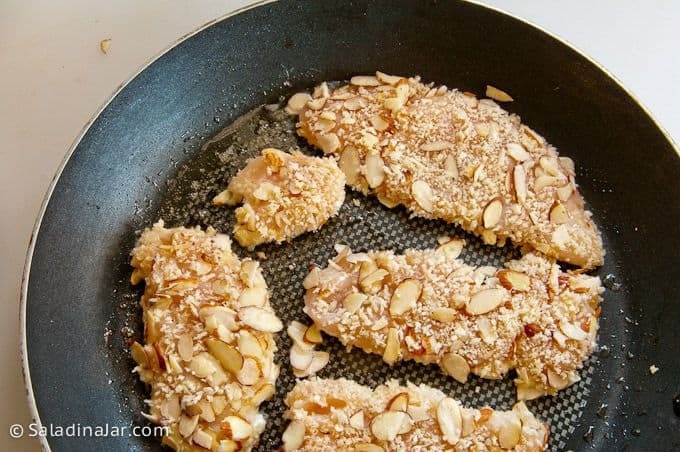 Place browned chicken strips onto a cookie sheet, pan, or a baking dish and place into oven to bake for 20 minutes. Don’t crowd pieces. Chicken is done when pieces are golden brown and cooked through. The almonds give this mildly-flavored chicken lots of earthy flavor. Seasoned or spicy rice is a nice accompaniment. 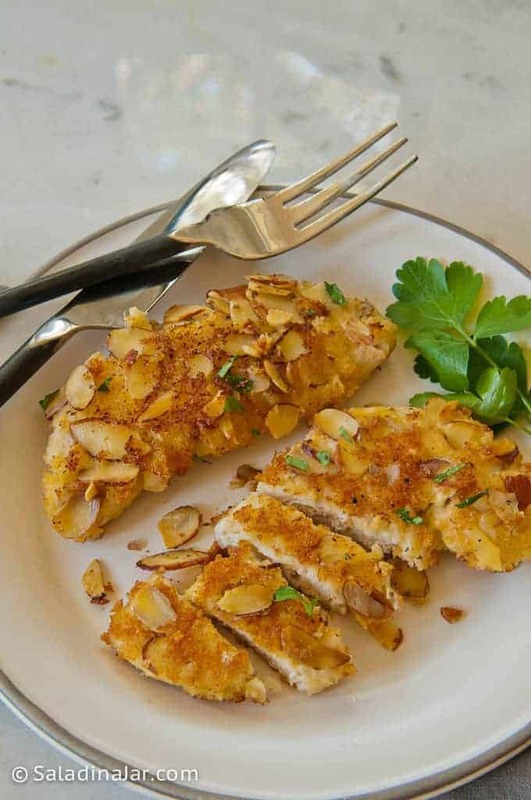 Transform a simple chicken tenderloin fillet into company fare when breaded with almonds and bread crumbs, sautéed, and baked. With a mallet, pound chicken between plastic wrap or wax paper to make uniformly thin. I like to use a zippered gallon-size plastic bag to avoid any projectile pieces of chicken. Mix eggs well with a fork. Combine breadcrumbs, almonds, salt and pepper. Dip chicken into egg mixture. Roll in bread crumb/almond mixture. Sauté in frying pan with 1-2 tablespoons avocado or olive oil. Brown briefly for about 2-3 minutes per side. 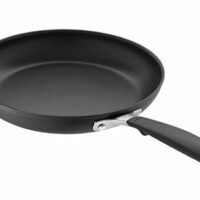 Do not crowd the pan for best results. Better to do two batches, using remaining oil for second batch. Place into a greased baking dish large enough for all fillets to fit in one layer. Bake at 375 degrees for 20 minutes until baked through. Good served over rice seasoned with chopped parsley or cilantro. 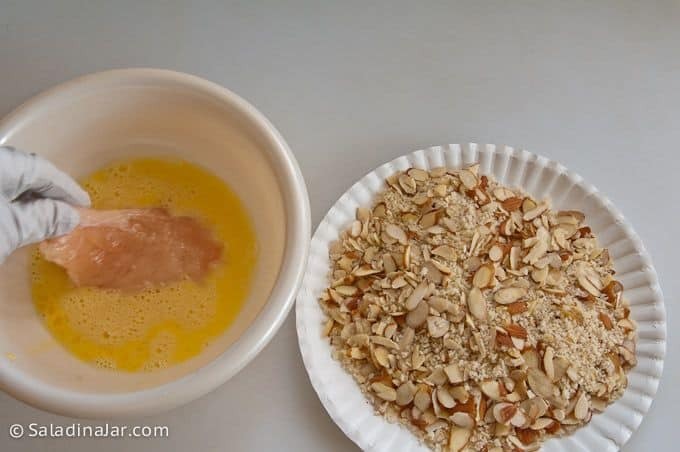 Although originally published as Crunchy Almond Chicken in 2009, this post is an update with new pictures and video. 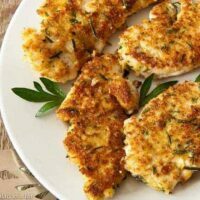 Posts Related to "How to Make Crispy Almond Chicken Tenderloins"
Speedy, breaded, chicken cutlets with maximum flavor - try it with fish, too. I am going to have to make this soon, looks yummy! That is a great way to enjoy chicken. Thanks for sharing! I love almond covered chicken. 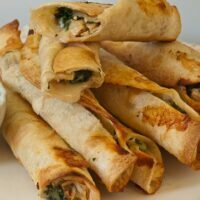 Usually, I flour and roll chicken strips in a mixture of ground almonds and dessicated coconut and the serve them on a bed of greens! 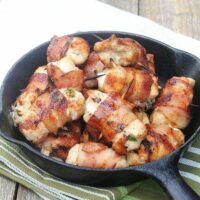 This is a great recipe, and I agree fancy and easy! I’m filing it away for the next time we have chicken, which will be soon! this looks yummy, as do all of your things. Kudos to you for doing a posting while out of town! OOOOOOO HOW COOL. I ADORE VINCE GILL !